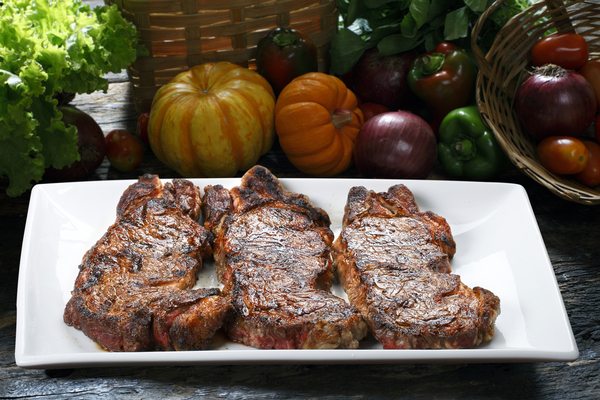 Most seasoned travelers agree that Argentina is the beef capital of the world. 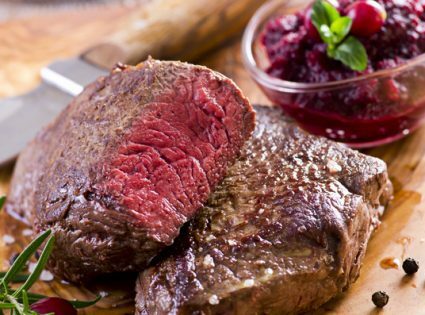 The statistics seem to agree too; the average Argentine eats 70kg+ of beef per year, which is 30kg more than beef-loving Australia. Despite knowing all of this before arriving, I was still shocked at the popularity (and inexpensiveness) of beef. That said, it takes a little knowledge and nous to end up with a great steak on your plate. For starters, the traditional Argentina Asado involves cooking ALL parts of the cow, so it’s easy to end up with black pudding and sweetbreads, which paradoxically aren’t deserts at all. Also, the cuts of meat have different names in Spanish. The popular cuts here are a little different to the popular cuts at home. 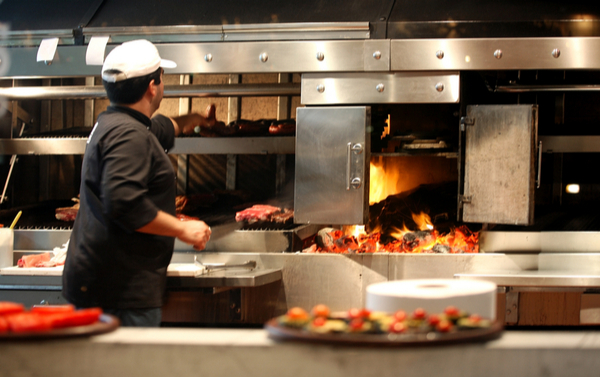 Here we have prepared the ultimate guide for the best steaks in Argentina. There are too many cuts too mention, especially those from less traditional parts of the cow, but here are the ones you should look out for if you’d like to sample great Argentine steak. Often the most expensive cut in a Parilla (a place where meets are cooked). It’s tender and juicy, but sometimes the flavor is not exactly thrilling. It’s a very lean cut, which is great in theory, but without marbling, through the beef, it’s not as tasty. I made the mistake of ordering bife de lomo too many times, until the last time, just before I left Argentina, I realized I was missing out. This is favorite among Argentineans; it’s a thin cut but very flavorful. It’s not as tender as the others, so if you order it, be prepared to chew a little. This is also one of the least expensive cuts, so it’s more suitable if you plan to OD on good Argentine beef. Firstly, this has nothing to do with a sausage. Secondly, bife de chorizo is just what a steak should be: big, juicy, with some tasty exterior fat, literally dripping with flavor. The only problem with bife de chorizo is that if you order it at a cheap restaurant you’ll generally get a cheap cut, and cheap cuts of bife de chorizo can be very fatty. It’s generally not as tender as bife de lomo, but the marbling gives it a great meaty taste. Other popular cuts include Asado de Tira (ribs) and vacío (flank steak), which are worth a try if you’re staying in Argentina for an extended period, but probably best left if you’re only there for a sample. You’ll see this word being thrown around all over the place, but mostly it refers to a traditional Argentine barbecue, often where many atypical parts of the cow are cooked. This really is the best way to enjoy a steak in Argentina because it gives you a taste of the local way of life. Additionally, cooking a great cut of steak yourself over a hot flame makes it taste that much better. You’ll need to stick around for a while to get an invitation, but it’s well worth the wait. Choose a good restaurant for your first steak, because like anywhere in the world, not every establishment upholds the same quality. Don’t be drugged by the hype; it is certainly possible to have a bad steak in Argentina. In fact, more often than not my steaks were pretty average. Even a fancy restaurant will only charge $10-15 for a steak, so it’s worth starting on a good note. After that, it’s worth experimenting, because some of the well respected local eateries will provide great quality at half the price. 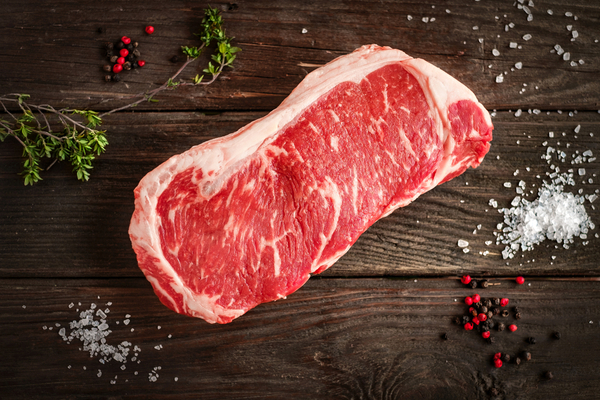 I was surprised that a raw steak from the supermarket or butcher is only about 40% cheaper than a cooked steak from a relatively expensive restaurant. But when you see the raw product in the flesh, you’ll really come to appreciate it. Even from an average supermarket, the steaks are impossibly thick, juicy and fresh. We gave it a go for Christmas lunch, but the stove just couldn’t get hot enough for a 3-inch thick steak. So we sliced it up and it was pretty good.